It was my parents’ anniversary yesterday but since my brother had other things to do, we decided to have our dinner the following day. 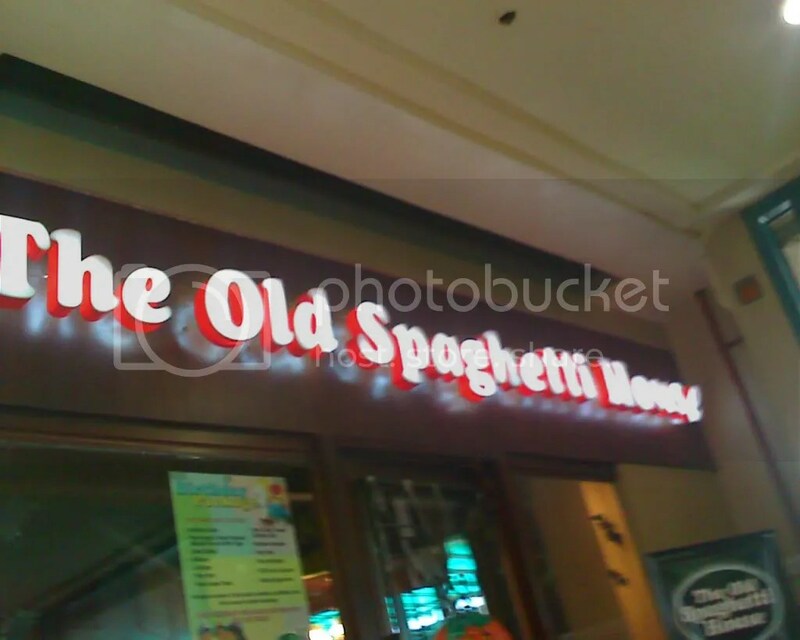 We decided to eat dinner at The Old Spaghetti House at Festival Supermall Alabang. TOSH is located at the second Level, Bridge-way Court near Toby’s. They are located near the entrance and part of the restaurant is inside the mall and part is outside to cater guests even if the mall is already closed. Inside the restaurant is their kitchen and just a few tables. There are other tables outside and gusts could choose where to dine. The interior is decorated with old stuff and some Halloween decors since Halloween is already near. We sat at the far end inside the restaurant. The menu was given to us and we ordered Pepper-Crusted Fish with Spaghetti in Sun-dried Tomato Pesto, Golden-Crusted Chicken, Ham & Cheese Crepe with Angel Hair Pomodoro, Spaghetti with Meatballs and Sun-dried Tomato Pesto with Grilled Chicken. We waited for a couple of minutes before our food arrived. 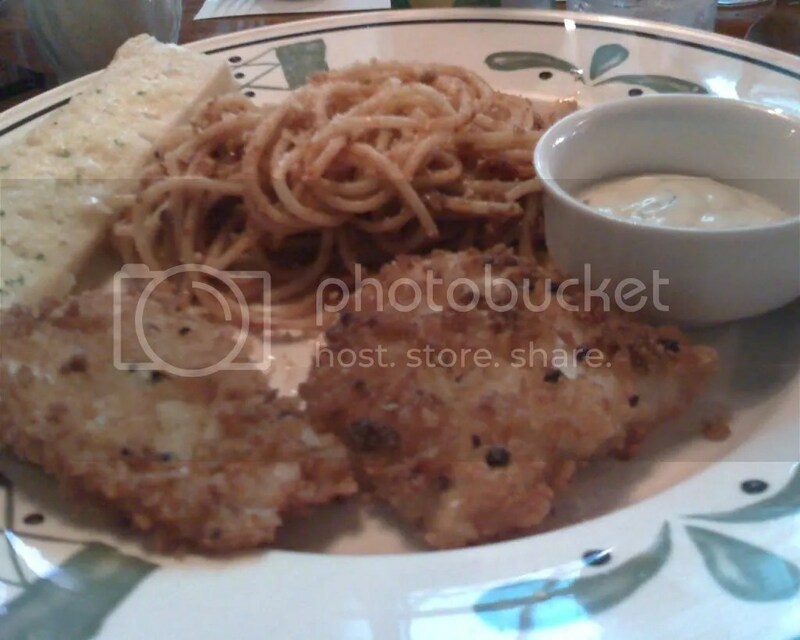 The Pepper-Crusted Fish with Spaghetti in Sun-dried Tomato Pesto was good. The fish has large pepper corns in it and I have to remove it first to avoid eating it. It comes with a dip on the side. It goes well with the pasta. There are bits of sun-dried tomato that you could bite into. The sauce blends well with the pasta and goes well with the fish. The dish also comes with a slice of garlic bread on the side. The Golden-Crusted Chicken, Ham & Cheese Crepe with Angel Hair Pomodoro was also good. I wish I had ordered it. 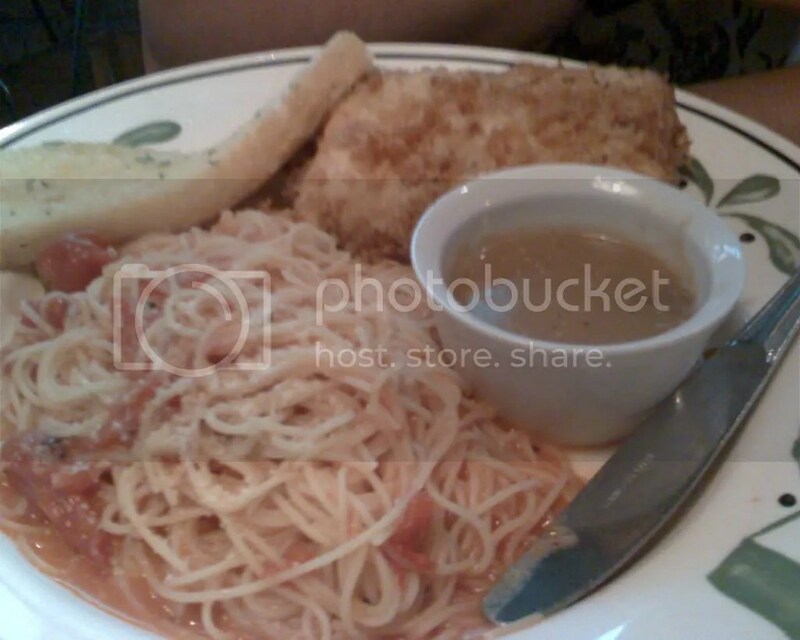 It has Angel Hair pasta and the chicken, ham and cheese crepe was good. It goes well with the gravy that comes with it. It was also served with a slice of garlic bread on the side. 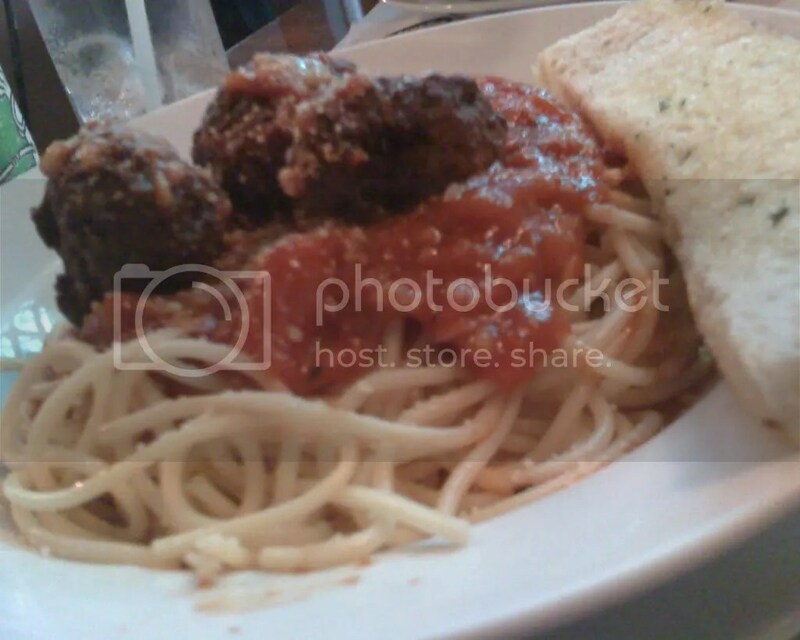 The Spaghetti with Meatballs was also good. Three large meat balls tops the red sauce pasta on your plate. It is good enough for two person to share (as for me). The meatballs were meaty and goes well with the red sauce. You could really taste the tomatoes in the red sauce and it was good. It is nice to add more Parmesan on top. It also comes with a slice of garlic bread on the side. Lastly, the Sun-dried Tomato Pesto with Grilled Chicken. It was also good. The grilled chicken goes well with the pesto. The dish was large and could make you feel full even when you’re not done eating it. It was also good like the rest of the dishes, and also, like the others, it also has a slice of bread on the side. The food at TOSH was really good and you’ll leave the place so full. 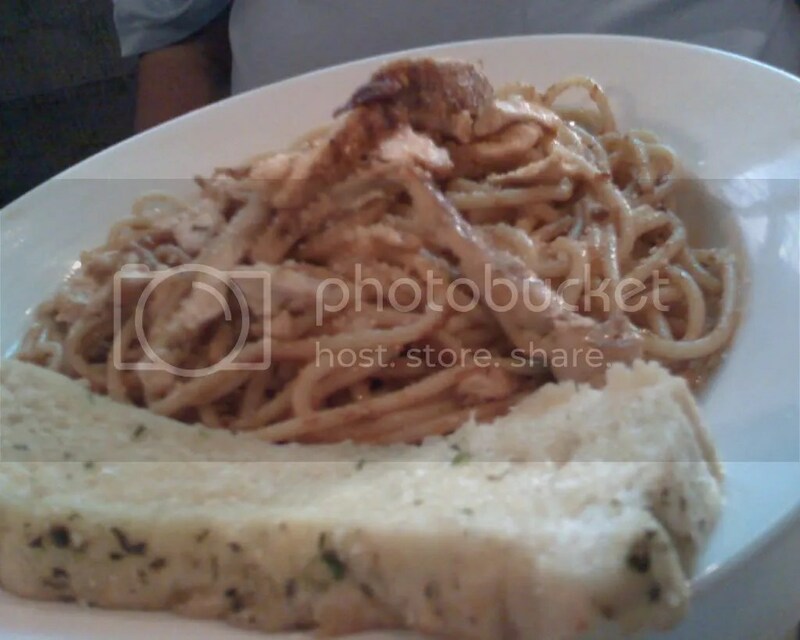 Their pasta dishes are great and I miss having it on our occasional Lunch out in the office. I miss their branch that closed that was near our office.